Jose Dávila works in a variety of media, including painting, prints, collage, and sculpture. His conceptual preoccupations originate in the potential of materials in dialogue with the space. Through appropriation, reinterpretation, and other discursive re-enactments, Dávila’s work offers a fertile ground to reflect on the ways that art history movements are digested in peripheral cultures, questioning cycles of dissemination and utilizing the political potential of materials and images to address forms of consumption. For his second solo exhibition NEWTON’S FAULT at KÖNIG GALERIE in Berlin, Dávila has created a site-specific installation titled that reacts directly to the space. This strategy has recently been used by the artist as a way of incorporating the particularities of a space into the dynamics of sculpture. Two stones in its raw form stabilize the game of weights between the beams.Volcanoes, geothermal energy and the movement of tectonic plates are the primeval sculptors of the rock that anchors Dávila’s sculpture – while the beams that support it are a man-made creation. The dichotomy is also visible in the platonic precise forms of the beams contrasting the organic natural form at the top. 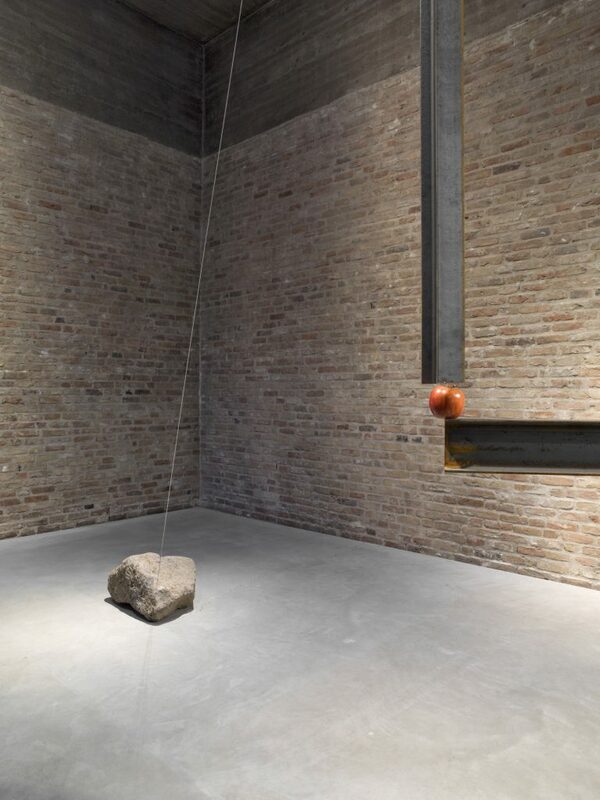 The apple is symbolically placed into the sculptural installation – it has a physical meaning in the sense of Newton’s law of gravitation, while simultaneously utilizing a mythological and religious vocabulary. The linked sequence of actions and reactions is temporally paused when all the forces are in complete balance. 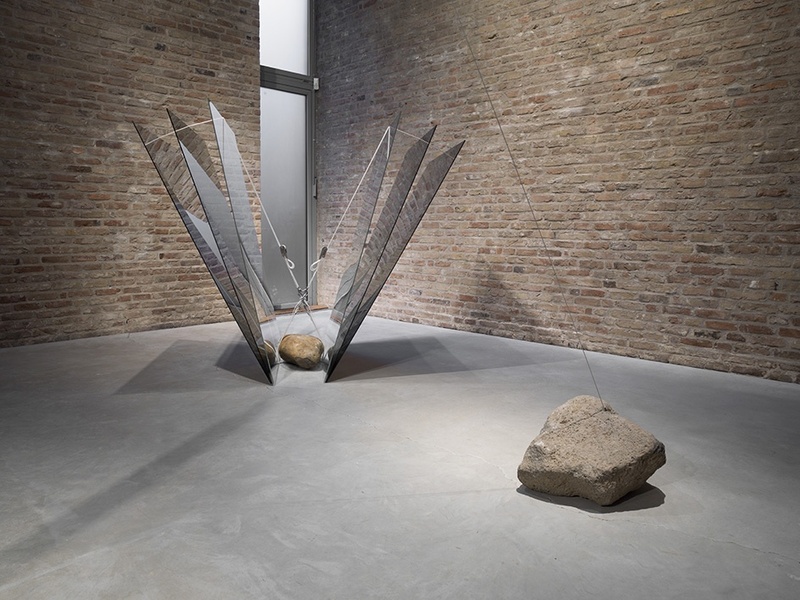 As in his Joint Effort works, the fragments and materials of the sculpture seem to work together as a conscious exertion for a specific common purpose. The artist emphasizes diametrically opposed qualities of materials. 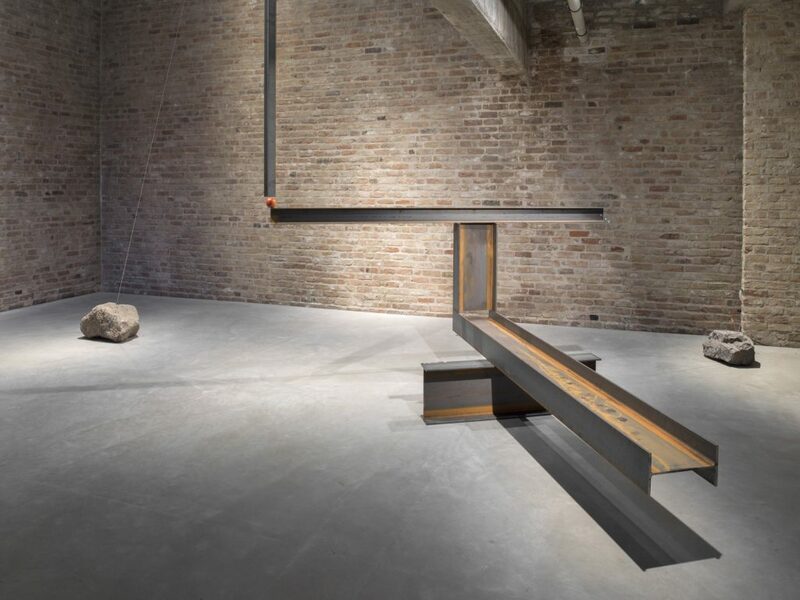 While conveying together Dávila’s interests in architecture, minimalism and the history of art, the sculptures in this project capture a moment of suspension and an ominous tranquility, suitable to the politics of balance.The apparent stillness of the sculptures is the result of the correspondence between forces, the support and the natural tendency of things to fall to earth. Jose Dávila was born in Guadalajara, Mexico in 1974. He studied architecture in the Instituto Tecnológico y de Estudios Superiores de Occidente in Guadalajara, Mexico, however, he considers himself a self-taught artist, with an intuitive formation. Jose Dávila ‘NEWTON’S FAULT’, Installation view at König Galerie, Berlin, 2018. 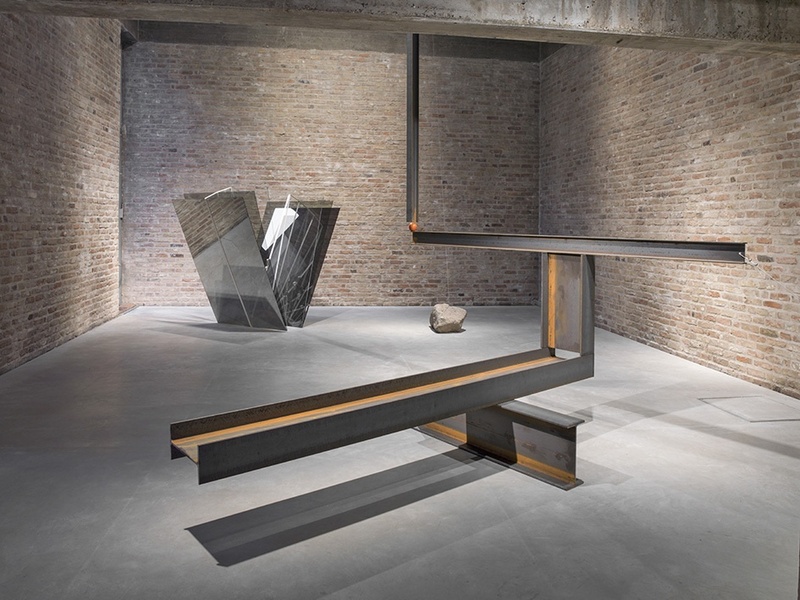 Jose Dávila ‘NEWTON’S FAULT’, Installation view at KönigGalerie, Berlin, 2018.